It's All About LOCAL Visibility! Let me help your business get found locally online! GET FOUND EVOLUTION is your answer to get found locally online; our services provide more than SEO [Search Engine Optimization]. Small local businesses must be diligent in today’s fast paced Internet environment in order to compete with companies of all sizes. GET FOUND EVOLUTION is committed to helping your company achieve the market share needed to, not only participate in the competition, to become a key player in your local community. How can you achieve market share that will help your small local business EVOLVE and EXPAND into your wildest dream? The simplicity of our approach to how a small business will get found locally online begins with fixing your Digital Profile and Review Generation methodologies. Next we look at how your current website is set up with content that aligns with your SEO requirements. In some cases we will rework your content to make it user friendly and search engine compatible which results in more effective local SEO results. 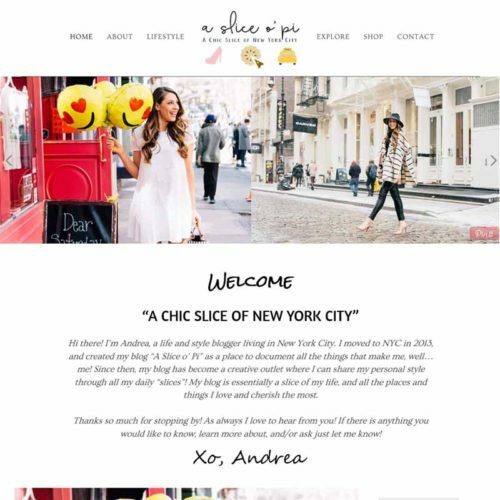 Sometimes a small businesses website requires a redesign. When that is the case we will work closely with you to design and develop a site that reflects your business well and is user friendly. Let’s take the first step together and check how your company is represented online by running your free business listing scan to get a snapshot of the health of your digital profile. My own company is an example of evolution. I started as a mobile website company (MoTECH Connect) helping small businesses GET FOUND on mobile devices. The next evolution came with the breakthrough of the responsive website design. 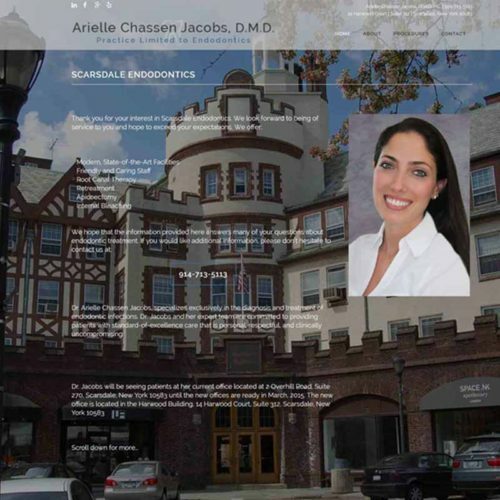 This advancement allows clients to manage just one site; a crucially important advancement in technology. After several years of designing WordPress Responsive websites (MoTECH Development) and working on the SEO prior to launching, my business evolved into a successful SEO and marketing company. The evolutionary result is the ability to offer crucial resources to my clients that include: Digital Presence Management, online marketing, website development, content marketing, reputation management and business consulting. My philosophy for the small local business to GET FOUND LOCALLY ONLINE – SEO is simple and effective and drives EVOLUTION over time to a more complex, and increasingly effective, form of marketing. HOW TO GET FOUND LOCALLY ONLINE TODAY! Over the years David’s WordPress websites developed for his clients build SEO into each page recognizing the best practice for effective SEO [Search Engine Optimization] includes page content that compels the audience and enables search engines to crawl the page(s) providing clarity for site content and purpose resulting in organic first page ranking on searches for his clients over 90% of the time. He calls this “GET FOUND LOCALLY ONLINE – SEO”. Take action today to help your local business get found locally by calling or writing David today. Incorrect business listings are frustrating for customers and hurt your search rankings. Take control of your digital presence with Digital Knowledge Management by Get Found Evolution in Partnership with Yext. We have direct integrations with the industry’s largest network of maps, apps, search engines, and social networks, so your locations perform better in search and your customers find you at the moment of decision. Say Goodbye To Manual Updates! Manual listings updates are tedious, and aggregator solutions deliver unpredictable results. With Get Found Evolution, you update once and publish updates across the entire Digital Knowledge Management Network, giving you real-time control and guaranteeing that your listings are accurate everywhere, every time. One of the benefits to this is that your ability to get found locally increases through accurate online Digital Knowledge for your customers. Customers and search engines make decisions about your business every day based on your ratings and reviews. If you don’t actively manage this important set of facts, you could be leaving your star ratings up to a few detractors. Get Found Evolution Reviews helps you unlock your business’s true rating by generating authentic reviews directly from your customers. Ensure your ratings are consistent across the Digital Presence Management Network so you win more business from intelligent search. Present the best version of your business on the map. Review Generation | Gain powerful reviews from your customers. Review Publishing | Add reviews to your website to star in search. Review Balancing | Ensure an even review distribution. BRING YOUR CUSTOMER’S INTO FOCUS WITH ACCURATE INFORMATION! Local SEO strategy is incomplete without strong content marketing planning. At GET FOUND EVOLUTION we have the expertise necessary to develop a thorough content marketing campaign for your local small business. We combine search engine optimization expertise with customized, effective content strategies designed to increase brand awareness, develop new sales leads, and engage with existing audiences in your local community. Our commitment is that your local small business will get found locally online. At GET FOUND EVOLUTION we will take your business WordPress website design to the next level. We begin with the larger picture and then pay attention to the smallest details. We diligently strive to understand your company, marketplace, and goals to clearly convey your message. We strip away the noise and get to the core of what makes you unique. We bring your vision to life with detailed visuals and genuine storytelling. We launch, monitor, and refine as your audience interacts, responds, and grows. At GET FOUND EVOLUTION we develop content for the website as a means to achieve a cohesive message. 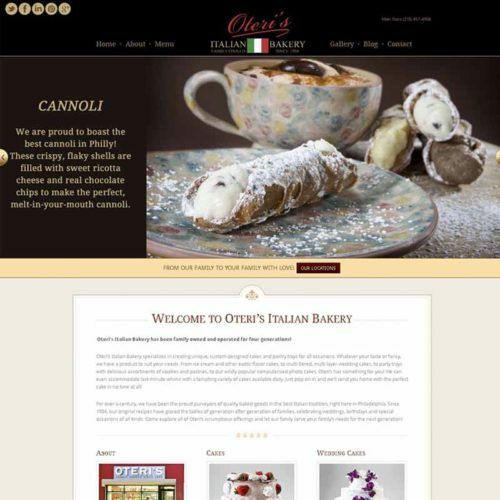 The website design reflects the visual and informational context for your business. Adding content and social media campaigns help to expand your audience reach and market share. At GET FOUND EVOLUTION our approach to online marketing will be developed to match your goals and budget. We take advantage of get found online SEO, PPC, Social Media and Content Campaigns for your benefit. To facilitate and enable your audience to purchase your products and services online we design an integrated e-Commerce Store. 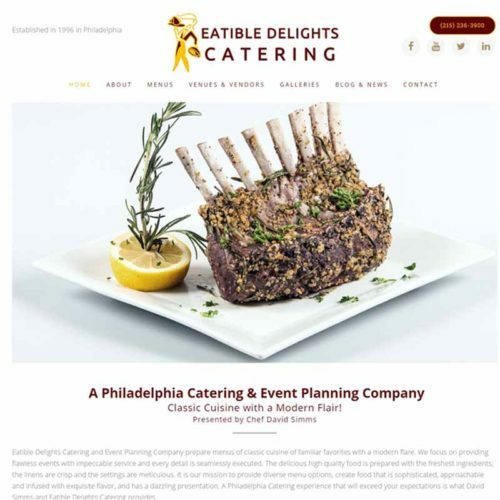 We take tremendous care to determine the most appropriate layout and marketing to get your website to get found locally online, expand your market share, and audience. Our collaborative effort will result in the achievement of your goals! Social media is hugely effective. Companies with an established and extensive social media presence report an ROI four times higher than those who don’t. It generates awareness of your company, alters the public perception, drives traffic to your website, increases levels of customer engagement and most importantly… increases your sales. A successful social media campaign listens to the buzz and gets involved in the right online conversations, at the right time, with engaging written and visual content. Adding a new post to your site at least monthly will increase the frequency of content and help you to interact within the Social Media environment with relevant information directed to your audience that will help your business to get found locally online. For more than 30 years David has provided stunning photography to a cross section of people ranging from corporate, commercial, people, food and product photography. His ability to visualize the end result and motivation for an image is paramount to his success. 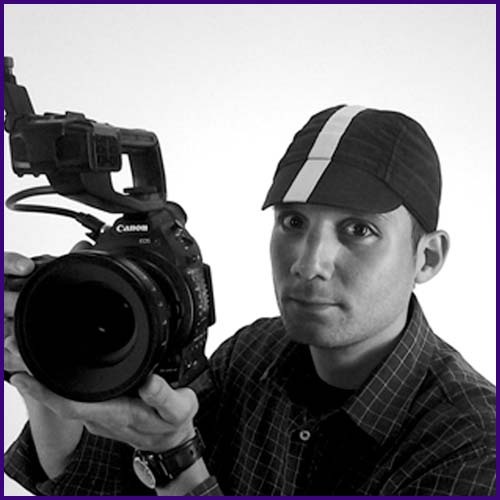 In the world of online marketing and website development, his photographic skills achieve visually compelling images for his client’s websites that help drive their message. He also directs video productions with a message. When talking with David about your small business and how to get found locally online – SEO ask about potential imagery he can create for your new website design. Experience a designer who provides creativity, precision and takes an out of the box approach. David will exceed your goals and expectations. Give David a call today to find out how to get found locally online. 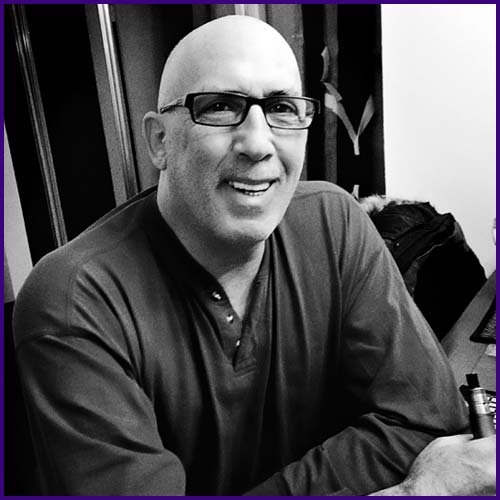 David has been in photography and media design for more than 30 years. As an entrepreneur he brings that spirit of drive, success and business savvy to GET FOUND EVOLUTION. As a small business owner he understands how important it is to get found online SEO. David has worked with small and large companies and has an affinity for the small business owner. His passion is helping them to grow their businesses and exceed their expectations. Paul’s documentary style promotional films tell a story effectively and efficiently. His production experience, technique and individual style benefits every single video piece he does. They will help your small business get found online SEO. My band is in at the point of expanding and with your help and vision we finally have a website that features our music and story. We are able to connect with and build our audience too. Thank you for all you have done. The site is awesome! Working with David to produce a new and exciting website was fantastic. There were so many components to work out with him. He took care of everything from the photography, writing and design of the site. I am so happy with how it came out and it is doing wonders for my business. I really don’t have words to tell you how truly thankful I am for the work you did with our website, AdWords and all the social media posting. I have been pursuing someone for a few years, to do what you have done. I had been disappointed (and scammed a few times) in every one of these ventures, until I dealt with you. Thank you from the bottom of my heart!!! 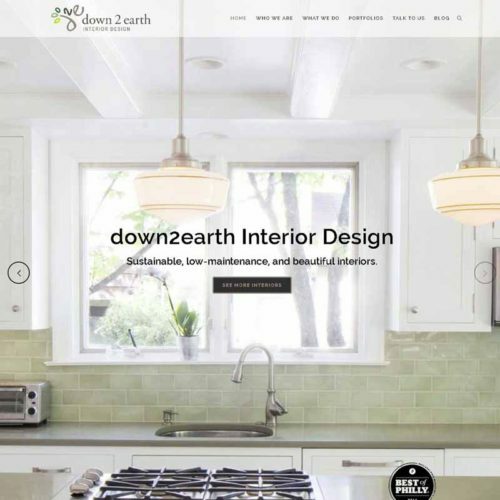 David, I am so happy with the new look for down2earth Interior Design. The collaboration was superb. Thank you for listening to all of the input I had and then like magic making it happen. Within an hour of the site launching I had my very first inquiry from someone using the Contact Form. WOW! That was fast! Get Found Evolution has been Great for our Company!!!! Recommend them highly!!! Will get your business noticed!! From my first conversation with Dave, I knew he was going to be a great asset to the business! He created a beautiful web site and has done a great job at getting our name all over the internet! I would and have recommended him for any internet or web design needs! Dave completely revamped our website along with taking the time to really understand what our business needed to "get found" online as well. Dave took each one of our services that we offer our customers and one by one created beautiful web pages along with content, and began marketing us on google. We were initially found on about page three of google, and when Dave was finished within a few months we were on the first page! Our sales have significantly increased and there is no way I could have ever done what Dave did for our business. He is very detailed, smart and wonderful to work with. Thanks so much! 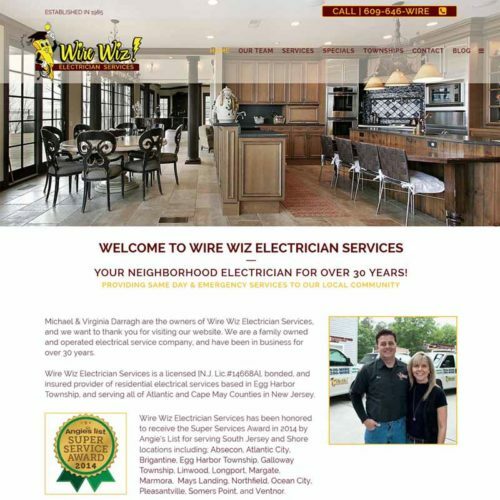 We own a small residential electrical business, and I had been trying to update my website and really get a good internet presence so customers would be able to find us at least on the first page, when searching for an electrician in their area. I tried so many companies who promised this, and I spent thousands through the years with no real results. When we met Dave with Get Found, he not only created the perfect website, far better than I could ever have imagined, he actually got my website on the internet in so many places that I come up on the first page every time someone searches for an electrician! Our business grew significantly within only a few months after Dave did the magic he did, and within not even a year my $9,000 investment paid for itself 10 times over at least! His skills, knowledge and dedication to what he can do for a company needing internet marketing and a great website, is truly priceless! Thanks so much Dave!